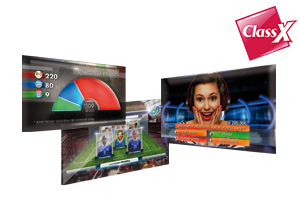 FOR-A's WFX booth lineup includes the HVS-490 HANABI switchers, ClassX content creation and graphics playout solution, Variant Systems Group's Envivo Replay sports and live event replay solution, and ODYSSEY Insight multi-channel video server. "WFX Expo has always been an important show to FOR-A America," said Ken Truong, President, FOR-A Corporation of America. "It's a very targeted show that provides an excellent opportunity to engage with our system integration partners, dealers, and house of worship and live event customers. Plus, many attendees at WFX may not make it out to the NAB Show in Las Vegas or IBC in Amsterdam. We get a chance to show them some of our newest technology and how it benefits their particular applications during this show. It’s always been a very successful event for FOR-A." One focus of FOR-A's WFX booth will be the HANABI production video switcher. FOR-A will demonstrate a new workflow solution to provide mux/demux of Dante digital audio into the HVS-490. (Developed by Audiante, Dante distributes uncompressed, multi-channel digital media via standard Ethernet networks.) Dante integration is an addition to the HVS-490’s exclusive feature set, which includes MELite™ technology. 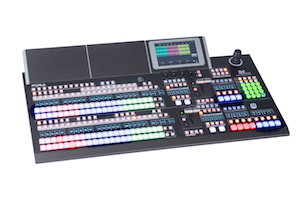 MELite extends the switcher's 2 M/Es to offer 6 M/E performance. 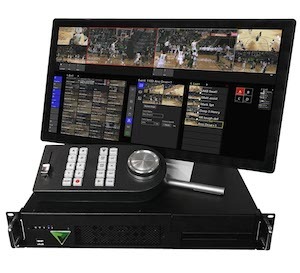 Plan a visit to FOR-A's WFX booth to see this unique sports replay solution in action, with promotional pricing (valid through Dec 31, 2018) of $22,000 in the U.S. with four input and two output channels. FOR-A America is the exclusive distributor of Envivo Replay in the U.S. and Canada, along with Central and South Americas.